Housing advocates and local residents protest gentrification and lack of affordable housing. Daniella Pierre engages with a community member during the rally. Trenise Bryant, the housing organizer with the Miami Workers Center, holds a sign in front of the Mill Creek Riverhouse construction site. During the rally, a construction worker got into a shouting match with the protesters. He said that if they wanted to live here they needed to make more money. Pierre shouted back to ask how much. “He said $200 a day. Let’s be real,” Pierre said. After protesting, some of the activists headed to the county’s Affordable Housing Trust Fund Board meeting scheduled for Thursday morning. "What we are proposing is an affordable housing oversight committee," Pierre said, "to stop developers from coming in our communities with no type of acknowledgment or nod from the community. Those at the rally also want the governor to declare a housing state of emergency in Florida to immediately provide more affordable housing relief funding. 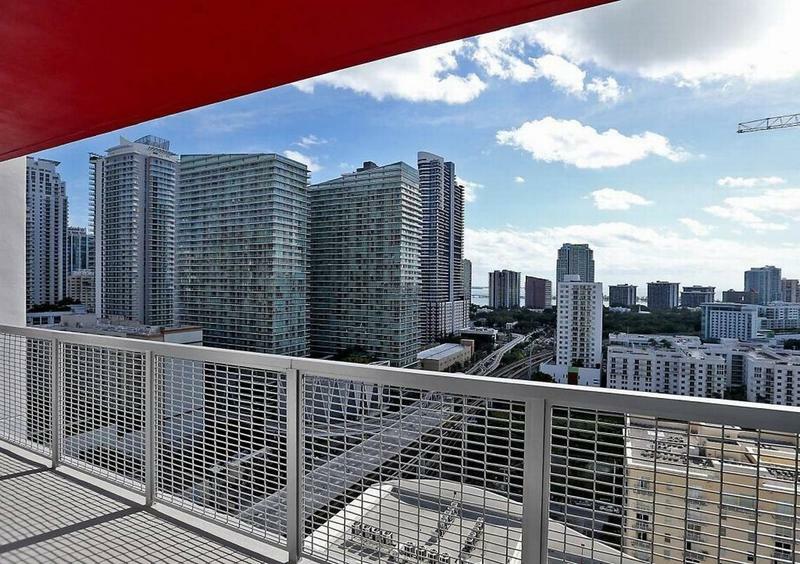 Finding affordable housing in South Florida is challenging-- that’s no news to those who live here. Saturday kicked off a national “week of action” to call on the federal government to increase the number of tax credits to affordable housing developers.